Easy Clean (use with the Grunge Brush) makes cleaning your chain and parts easy and fast! 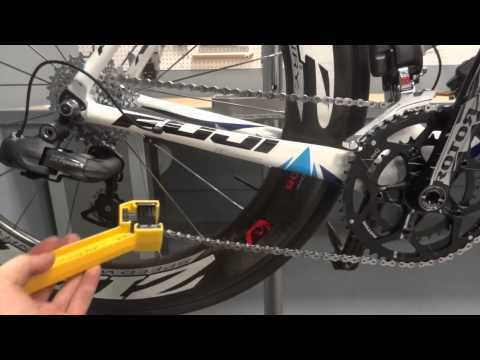 Simply rinse and wipe dry and your chain will look like new. Use Easy Clean to thoroughly remove any old oil-style lube to prep your chain before using Easy Lube for the first time. Easy Lube will keep your chain and gears clean because it goes on wet, but dries to a dry, non-oily wax lubricant that will shed away any dirt that finds its way to your parts. Yes, that's right, it self cleans by shedding dirt off your chain and parts. All you do is apply, let dry and ride. Reapply as needed (more after particularly dirty rides) and ride - no cleaning or degreasing required! Keep your drivetrain clean and running smooth with the White Lightning Clean and Lube Kit!